Is the future of social housing now under threat? He was criticised for blocking plans to build 200 homes for homeless nationalists when he was appointed minister but has now been accused of placing the Housing Executive under pressure to build 85 homes in loyalist areas without any clear evidence of homelessness – The Detail asks Nelson McCausland: why? 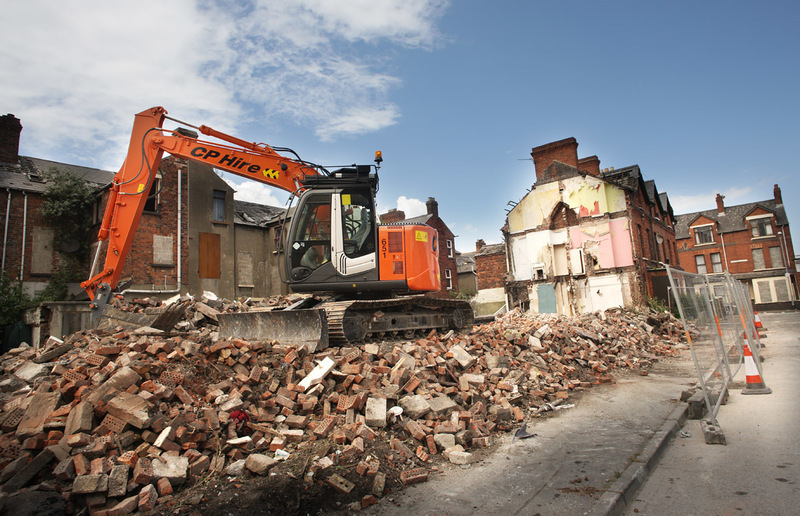 Earlier this month DSD Minister Nelson McCausland was accused of a political carve –up with Sinn Fein following a recent controversy over social housing on the former Girdwood army base in North Belfast. The SDLP criticised the Girdwood “deal” claiming it reneged on previous DSD proposals to build 200 homes on the same site to help alleviate the chronic housing shortage among nationalists in North Belfast. However The Detail can now reveal new evidence showing that the DUP minister held “discussions” with the Housing Executive to ensure that four loyalist areas in North Belfast were given preferential treatment to be included in a new house building scheme despite having little or no sign of any significant homelessness. Nationalists are estimated to make up three quarters of the 1,300 people in housing homeless stress in Mr McCausland’s North Belfast constituency. 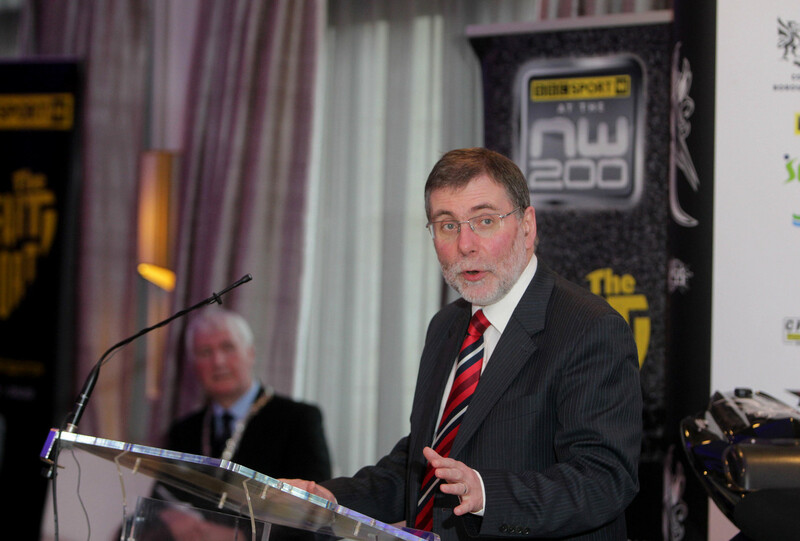 As Minister for Social Development, Mr McCausland has overall responsibility for social housing. For 40 years the Housing Executive has been responsible for allocating social housing on the basis of need. Mr McCausland is expected to strip the Housing Executive of those powers in the near future as part of the biggest shake-up of social housing in Northern Ireland since 1970. Earlier this month plans were announced to redevelop the former Girdwood army base in North Belfast. However those plans were criticised after it emerged that the previous proposals to build 200 homes on the site had been greatly reduced. The DUP and Sinn Fein were accused of a political carve-up over the Girdwood “deal”. Mr McCausland’s party leader Peter Robinson rejected any suggestion that there had been political horse trading over housing in North Belfast. “If the Housing Executive move away from the legal requirement that they have to allocate houses on the basis of need, every individual (is) entitled to put the area that they want to be housed in forward as their preference and following that it is up to the Housing Executive to assess, on the basis of need, how many points they should have,” he told the BBC’s Inside Politics Show. However serious questions have now been asked over how the four loyalist areas in the minister’s own constituency were added to the new build scheme. The Detail has obtained evidence that “emergency approval” was used to ensure that the four areas were added to Housing Executive’s three-year building programme for social housing. Documentation seen by the Detail indicates that the management board of the Housing Executive approved plans for its three-year Social Housing Development Plan (SHDP) in January. Three months later, after what the documentation describes as “discussions” with Mr McCausland and DSD officials, a decision was taken to add the four areas to the new build programme. Housing Executive officials to approve the addition of the four sites on March 22 – three months after the three-year development plan had already been approved. Crucially the decision was taken without the recommendation having been approved by the authority’s ruling management board. Board members were only informed of the decision when they met a week later on March 28. However, the Detail understands that no Risk Assessment or Equality Screening was carried out on any of the four sites (Ballysillan, Lower Oldpark, Tigers Bay and Lower Shankill) before their approval was rushed through. As part of its investigation The Detail studied the Housing Executive’s latest homeless figures to determine the level of housing need in all loyalist and nationalist areas of North Belfast. While the Lower Shankill area is situated in the Greater Shankill housing district we have included it with the North Belfast figures to allow for proper comparison. Our analysis of the Housing Executive’s April 2012 figures show that only one of the four loyalist estates, Ballysillan, is included in the top 10 areas with the most severe housing waiting lists. While Ballysillan ranked at No 7 – with 110 people in need of a new home, Lower Shankill was placed at 18 on the leage table with 40 people in housing need. 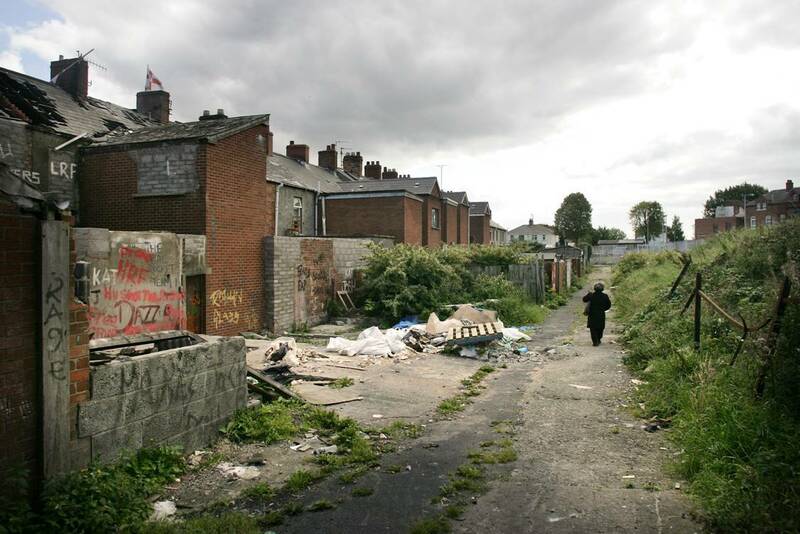 Tiger’s Bay was ranked at 21 – with 31 people on the waiting list while Lower Oldpark was placed at 27 in the homeless table of 32 North Belfast estates. Nationalists accounted for eight of the top 10 estates with the highest waiting lists with 250 people in the New Lodge/Carlisle estates being in need of a new home. However the figures were even starker when we analysed statistics identifying the numbers of people in the most severe housing stress. Those figures showed that nationalist areas account for nine of the top 10 areas of housing stress. Again only one of the four loyalist estates, Ballysillan, is included in the top 20 estates with the highest evidence of housing stress. Of the other three areas which the minister is accused to have given preferential treatment, Tigers Bay is ranked at 21 in the table of worst housing need, while Lower Shankill is ranked at 25 and Lower Oldpark ranked at 27. In contrast the nationalist Cliftonville area headed the league table with 195 people in the worst housing need, closely followed by the New Lodge (173), Cavehill (173), Ardoyne (104) and Whitewell (99). “Waiting list demand remained constant in 2010/11 but has fallen back significantly in 2012. However DSD sources claim there is deep anger over the ministerial pressure which was placed on the Housing Executive to use emergency approval to ensure favoured areas are included on the three-year building programme. “When the North Belfast Housing Strategy was launched in 2000 it was agreed that there was a need for renovation of houses in loyalist/unionist areas to try and encourage Protestants to come back to those areas. “In nationalist/republican neighbourhoods it was new build housing that was needed to help alleviate the chronic housing shortage among Catholics. “Above all else DSD and Housing Executive staff prided themselves that housing was allocated on the basis of need. How can anyone justify fast tracking these four areas for new builds when there is clearly little or no need in three of the four areas? “Why weren’t loyalist estates like the Fountain in Londonderry or Seymour Hill in Dunmurry added to the scheme? why did it have to be four areas in North Belfast? However defending Mr McCausland’s actions since taking office last year a spokesman said in a statement that the minister had sought to align housing and regeneration responsibilities to target resources at those in greatest need. The spokesman insisted that no scheme had been fast tracked but failed to explain why the four loyalist areas were given emergency approval three months after the three-year housing plan had already been approved by Housing Executive’s board. He said that DSD and the Housing Executive were working to redevelop a range of nationalist and unionist areas with the most chronic housing need. However the spokesman claimed waiting lists don’t show the true picture of housing need, stating that in some area DSD were replacing unfit houses with a reduced but improved number of new build homes.